Aussie singer Geoffrey Gurrumul Yunupingu was one of only a handful of performers chosen to take the stage for the Queen’s Diamond Jubilee Concert, telecast last night on Channel 9. He performed as part of Gary Barlow & The Commonwealth Band’s single ‘Sing’, the EP of which has topped this week’s UK albums chart. Back in Australia, in the meantime, the singer’s new single has this week been officially serviced to media. 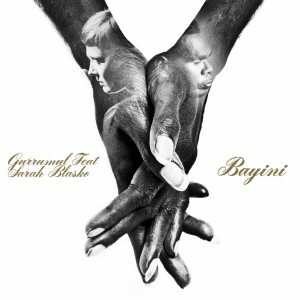 It’s a new version of the track ‘Bayini’, which featured on Gurrumul’s 2011 album ‘Rrakala’. This time around, he’s teaming up with Sarah Blasko, with producer Michael Hohnen explaining how it all came about. The new version is available digitally now.